Maybe your last dive was a month ago or perhaps a year ago...these scuba diving pictures can take you back to that last dive. 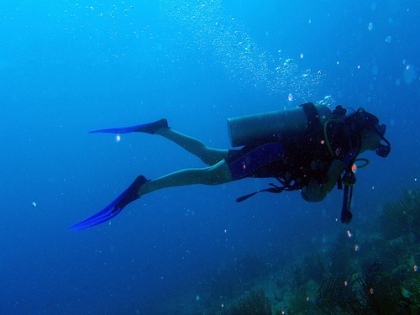 Scuba pictures are enough to send you into a frenzy to find your next Caribbean dive holiday. 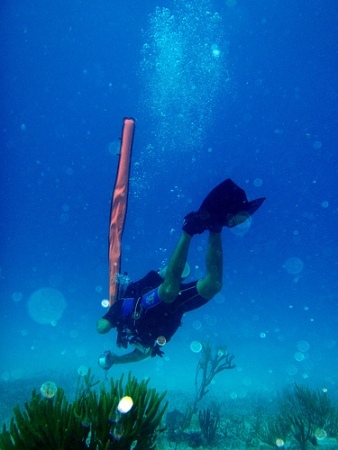 Underwater Scuba diver in the Caribbean. 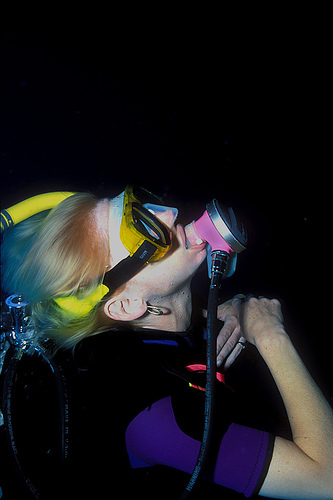 Scuba picture of a cruising diver in Playa del Carmen, Mexico. Diver going down at Playa del Carmen, Mexico scuba diving site.